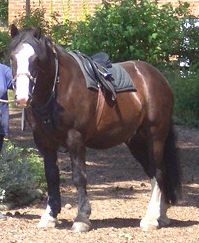 Huggy joined us in May 2005. 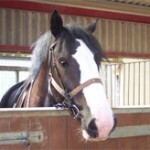 Huggy is a cob, born in 1999 and a handsome boy. 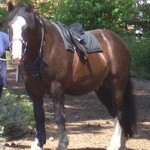 Huggy is 15hh and is black with some white markings, though he does look brown in some of the pictures. He has proved suitable and seems to like the work at the Centre. 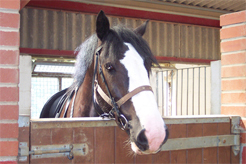 He has competed successfully at both the RDA Regional and National Championships.